Looking for a loan to buy that new or used horse trailer of your dreams? 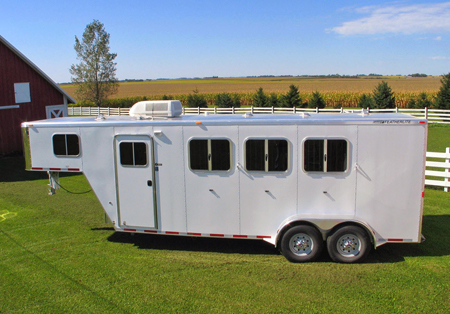 Have you found the horse trailer you want, but it’s for sale by a private owner, and you’re short on cash? FEL Canada will provide you with a quick easy loan to finance your new or used horse trailer; whether you are purchasing from a dealer or an individual. At FEL Canada, we have a team of dedicated loan specialists who will do everything they can to get you and your horse trailer on the road, while making sure the monthly payments are affordable. Get in touch with Us now and find out how we can help. No matter how bad your credit history is, FEL Canada will process your application for a horse trailer.